I hoard eye creams like they're going out of style. Or rather, as if tomorrow will be the eye cream apocalypse. I'm obsessed. You know how some people can't stop applying lip balm? And some even say it's a form of addiction? Yeah, that's how I am with eye creams. My favorites (this week it's Tula Multi-Spectrum Eye Renewal Serum, $58— it's amazing) are never far from reach, and I habitually apply them morning, noon, and night. You see, it's all part of my effort to solve my single most annoying skin grievance—dark, ultra-disturbing under-eye circles. Which, when left untreated, make me look like the Edward Cullen's long-lost sister who Stephenie Meyer never thought to include in Twilight. Yet, as you may have guessed, there's a catch in this scenario. I've discovered a DIY eye mask so good, so so good, I could, if I felt so inclined, banish my stash of dark circle–diffusing elixirs forever. Of course, I'm not going to do that. I love them too much, and I'm a part of the minority who firmly believes slathering eye creams on now will prevent many a wrinkle later on. Plus, separating us now would be like garage sale-ing off a 6-year-old's collection of Beanie Babies circa 1998—it's just not going to happen. But back to my discovery! I've known for awhile now turmeric is one of the healthiest foods you can consume, and I've also noticed it's strategically begun to make its way into many of my favorite skincare products. It contains curcumin, a chemical compound which studies say can minimize UV damage, clear breakouts, and brighten pigmentation—aka it's Mother Nature's problem solver. Another fun fact: Turmeric has been used in the world of alternative medicine for thousands of years and Indian brides and grooms even slather their faces with the stuff for spiritual protection and a pre-ceremony glow. So when I stumbled upon a viral video of beauty blogger Alexandra Potora applying a homemade mixture of turmeric and buttermilk to her own dark circles, I was immediately intrigued. The results were amazing, and before I knew what was happening, I found myself at Erewhon Market in Santa Monica buying a jug of organic buttermilk. (I already had turmeric from Trader Joe's in the pantry.) Oh, and just in case you're curious about the buttermilk, it's another one of nature's skin miracles, as it naturally contains lactic acid, which aids exfoliation. Thus, on a particularly late night when a particularly depressing set of dark circles had made their unwelcome appearance (along with two cute pimples—'tis the way life works I guess), I decided to put the viral DIY turmeric mask to the test—keep scrolling for what went down. According to Potora's tutorial, the correct ratio of turmeric and buttermilk is one to one. (She notes in her video she ran out of actual buttermilk and had to improvise with water and dried milk powder, which works in a pinch but isn't ideal.) So after measuring out one tablespoon of turmeric (again, mine is just from Trader Joe's) and one tablespoon of buttermilk, I used a small mixing spatula to whip the concoction into the lightweight mask. So easy. Then, using a small brush, I carefully applied the mask to every inch of my dark under-eyes, making sure to avoid my actual eyes. Once you've let the DIY turmeric mask sit for about 15 minutes, use a washcloth to carefully wipe away the mask. You may notice a touch of a yellow aftermath, but this will fade as soon as you carry out the rest of your skin regimen. One quick tip: Turmeric stains super easily, so make sure anything you don't want dandelion yellow is out of the way—it even stains porcelain—my sink basin may or may not be a subtle shade of buttercup right now. I'm telling myself it's pretty. As I gently wiped the mixture of buttermilk and turmeric from under my eyes, I immediately noticed a marked difference in my under-eye circles. Thanks to the brightening and exfoliating prowess of the two ingredients, my formerly dark, vampire-esque shadows were suddenly significantly lighter and far more diffused-looking—like magic. Plus, even though I did experience a mild heat while wearing the concoction (it does contain curcumin, after all! ), I had no redness or irritation after removing the paste from my skin despite my skin's sensitive nature. Then, while taking photos for the after-shot, I became even more intrigued. Seriously, my circles were gone! The following morning, they were back again, but as a temporary and inexpensive DIY fix? 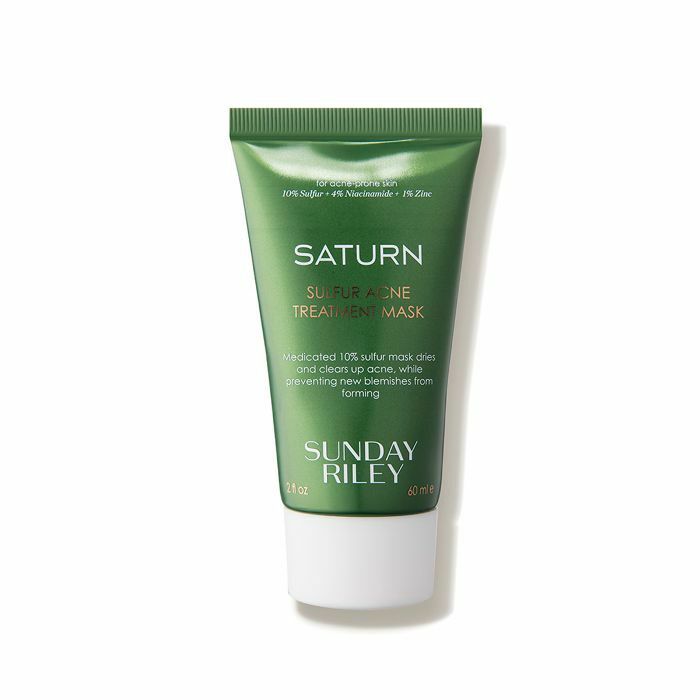 I'm 100% sold and plan on doing this mask a couple of times a week to see if it might help stave off the worst of my purple shadows in more of a maintenance-type fashion. Of course, as I mentioned earlier, I've also realized many of my favorite store-bought face masks contain turmeric as well thanks to the ingredient's antioxidant, antibacterial, and brightening prowess. Keep scrolling for 11 more turmeric masks that just might enhance your DIY masking efforts. Remember said mixing spatula and perfectly sized small brush I used to concoct and apply my DIY turmeric mask? 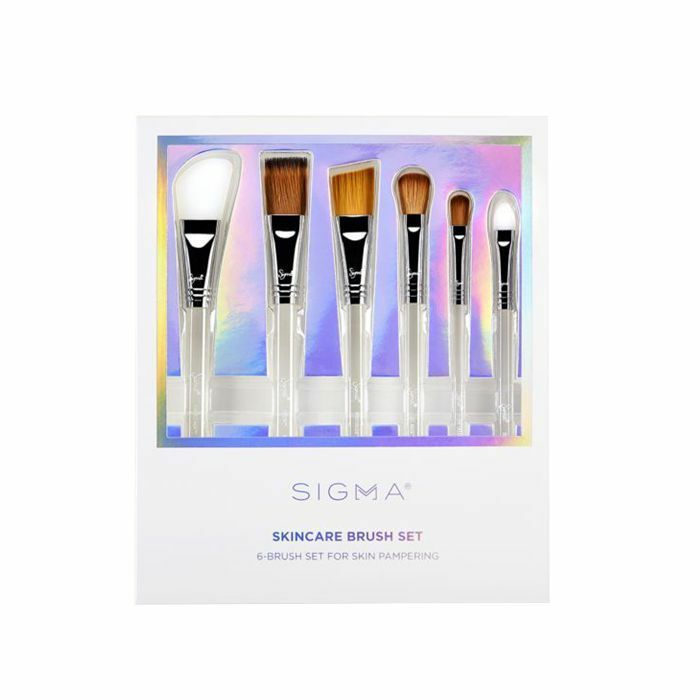 Well, both came from this ingenious brush kit from Sigma Beauty, which is a specially curated collection of brushes and spatulas with your masking needs and rituals specifically in mind. Not only do the brushes help reduce bacteria, but they also just feel more indulgent and professional than your ho-hum fingertips. I'm obsessed and use them all on the regular. 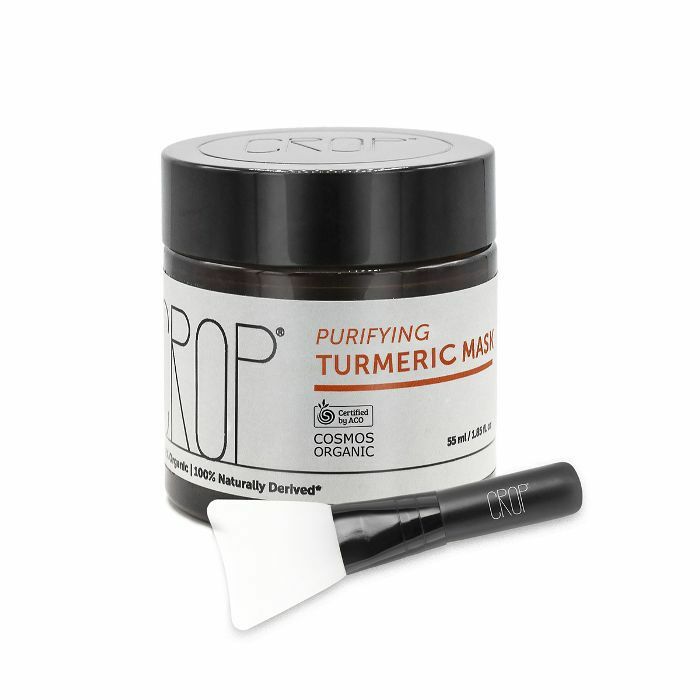 This organic purifying mask from Crop Natural is one of my all-time favorites. The entire brand is so good, but I'm completely addicted to how bright and radiant my complexion looks after applying this soothing turmeric-infused face mask in particular. I use it at least once a week and won't shut up about it. Although turmeric isn't the star of the show in this acne-improving mask (my skin loves it), it's an important player among other heavy hitters like zinc PCA, niacinamide, and sulfur—all of which correct discoloration and help sop up excess oil from acne-prone pores. Boasting 186 high-praise reviews on Sephora's website, this vitamin C–turmeric-jelly concoction is one of the best things you can do for your face, according to the formula's devout fans. "Y'all. When I say I love this, I mean it. I got a sample size with a set I had bought and it's now my go-to mask when my skin is feeling a bit drab. 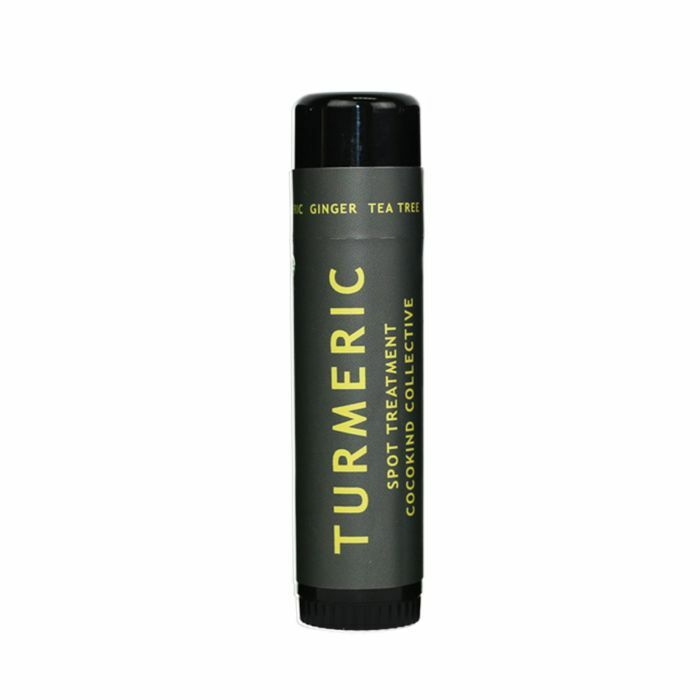 It makes my face brighter and more awake-looking, and the ginger and turmeric calms my blemish-prone skin down. I use this in the evening and follow with FAB moisturizer, and in the morning my skin is glooooowing!!! I use this one a week, if not twice, especially in the dry+cold northern weather." For fatigued, dull skin, fans of this mask say it's a godsend. "This is the BEST mask I have ever used. I have annoying hormonal acne and this calms my skin. It makes my skin so soft and it exfoliates so nicely. Love it!!!" explains one happy Sephora reviewer. 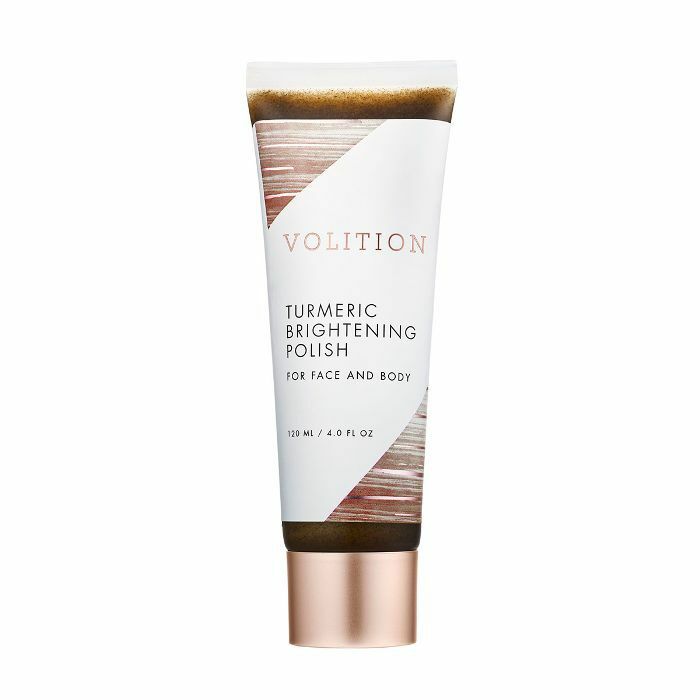 Fact: I've recently become addicted to this ultra-clean brand (its new Prismatic Luminzing Shield is utterly life-changing), and while I have yet to try this polish/mask hybrid, it's next on my list. Enriched with skin-healers like turmeric, olive oil, and sandalwood (which does more than just smell good—it also tones your skin! ), it's a quintessential once-per-week ritual. Simply massage it onto wet skin, leave on for two minutes, and then rinse. 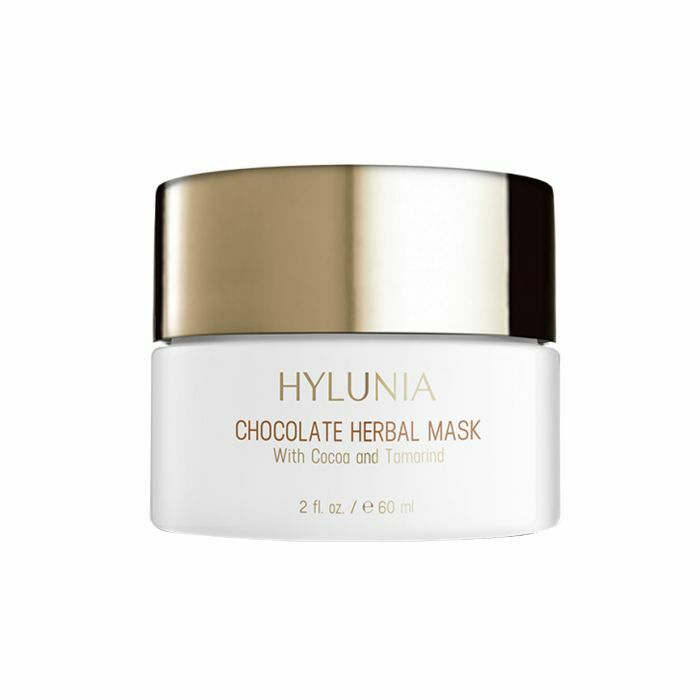 Steeped in Ayurvedic ritual, Hylunia is an under-the-radar brand I recently discovered while receiving one of the best facials of my life at Face Haus in Santa Monica. 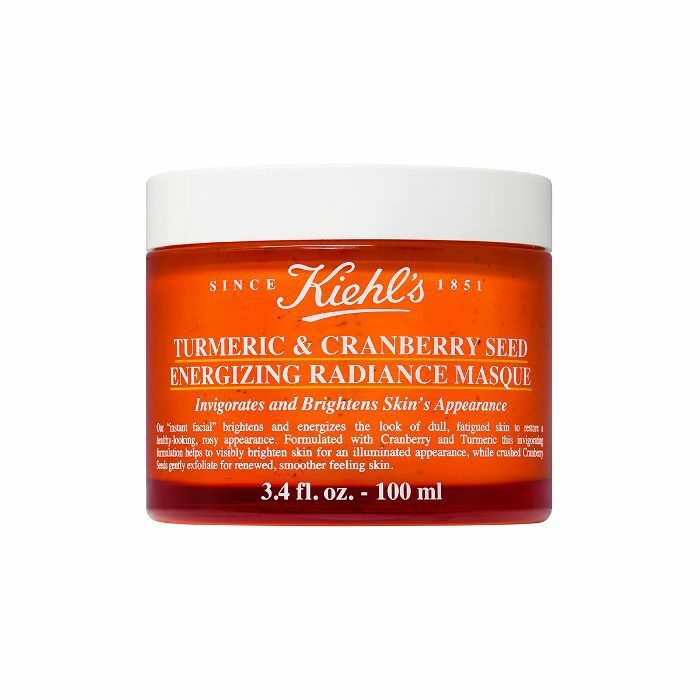 This lusciously herbal mask features glow-enhancers like bilberry, lemon, orange, cocoa powder, turmeric, and sugar maple. "Best. Mask. Ever!!! it's so important to exfoliate your skin so if you're looking for a good one, here it is!!!" exclaims a five-star review on Sephora. "Grainy texture, so I massage it well all over my face as I'm applying it. I let it sit for 10-15 minutes and as I'm waiting it has a cool/refreshing sensation - which I LOVE! As I wash it off, I continue to massage it and rinse off remains. It leaves my face feeling clean, fresh and renewed!" Okay, so this brilliant stick from Cocokind isn't a mask, but if your skin is crying out for relief (from acne or pigmentation) while you're out and about, there isn't a better solution for an on-the-go treatment. Thanks to turmeric's antibacterial and anti-inflammatory properties, you can pretty much apply it anywhere—from dark circles to breakouts. Simply apply it, let it sit for 20 minutes, and then wipe or rinse off. This cult-favorite cream/mask hybrid is one of my OG skincare favorites (I first discovered it during college), but until recently, I didn't realize turmeric is one of many strategic ingredients. No wonder I always used to wake up to a radiant complexion whenever I'd used it. Plus, it smells like an absolute dream. Next up: Here's my glowy morning skincare routine for three different budgets.